Does anyone know this goofer fucker? Always love putting a face with the fan. 2 users thanked 50poundnote for this useful post. Or a beard. Met you at the Oakland gig (well, a bar beforehand) in 2012, I believe. 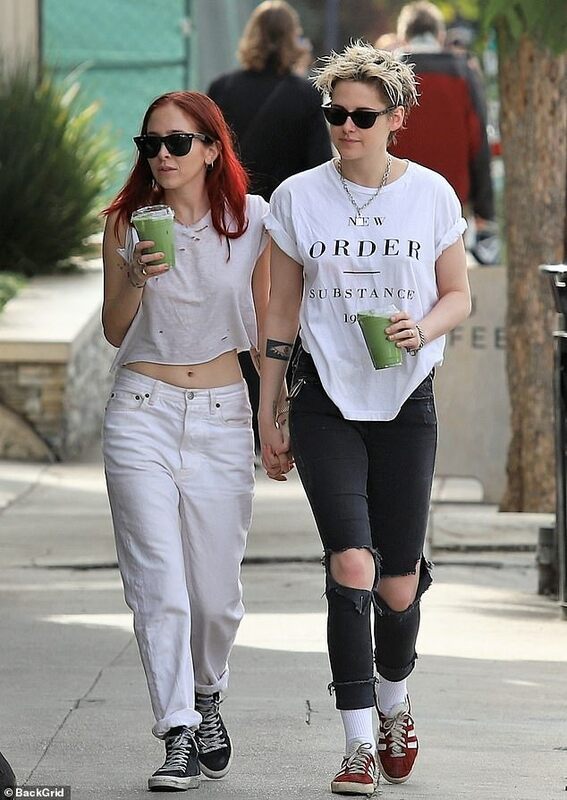 actress Kristen Stewart in L.A.
1 user thanked Midnight Blue for this useful post. Ah, that's right! Seems like ages ago! Were you at Music Tastes Good? 1 user thanked 50poundnote for this useful post. I know I shouldn’t let things like this bother me, but does she even know who the band are? Maybe she just thought the design was cool. I can’t ever imagine me wearing, I don’t know, a Simply Red t-shirt (for example), just cause I liked the design (i.e. the glorious image of the beautiful Mick Hicknall emblazoned proudly across my chest). Maybe I’m doing her an injustice and she has at least heard of them. Wonder how many of their songs she can name though, eh? "I listen to The Shins and Radiohead and Interpol. And we saw Band of Horses last night, and that was awesome, because they're, like, my favorite band right now. I love Camera Obscura and Jenny Lewis." She claimed to have listened to a song by Aussie singer-songwriter Sia back to back with Joy Division's "Shadowplay" incessantly while in Italy. I'd like to add that Casual Party is a nice song to start with for anyone wanting to check out Band of Horses. OK. I'll let her off. Sounds like there's a possibility she may know 3 songs by the band (not including BM & BLT). She'll forever have my respect for her portrayal of Joan Jett in the Runaways movie. Just wondering if I have something similar. There’s got to be one of me in a LWTUA one from 1990. 1 user thanked lee for this useful post. Bought mine at one of the Berkeley Greek Theatre gigs in 1987. Hers probably doesn't have the tour dates listed on the back. TOTP performance of True Faith on BBC4 TOTP Hits of 1987 earlier tonight. Quite nice to see it in better quality than the now rather tired copy of what I’ve got used to over the years on my old VHS or YouTube.Was listening on headphones as I watched and Steve’s drums sounded rather good too. I think you watched this last Friday, I caught a repeat on Saturday. The thing that struck me as they performed the "original" version was: Why don't they just play this version now? It no longer sounds "so last decade" because it isn't . Forget all the remix hybrid versions, just play it 1987 style. The ‘87 version was superb. Especially live, without Hague’s production, the bass and drums just sound absolutely thunderous. 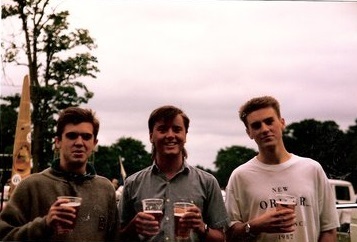 Oh god, here goes.This was summer 1988.I seem to have a horrible expression on my face.Jeez.Ah well. I'd be proud of it, if I were you. Proves that you're a lifelong fan of the greatest band who ever picked up guitars and synths. 1 user thanked LostSiren for this useful post. 4 users thanked Debaser for this useful post. Any chance of an appearance by the greatest bass player ever? Great. Ta. Weirdly, I couldn’t see your posts from Twitter on my phone, hence me asking whetehr Hooky might feature. This page was generated in 1.043 seconds.